Crossfire hosts Stephanie Cutter and Newt Gingrich debate the government's role in dictating school lunch standards with Margo Wootan and Genevieve Wood. Gingrich questions Margo Wootan's outrage over the of healthy school lunch standards. Newt Gingrich is not happy that potatoes are now considered a threat under the eyes of the government. Margo Wootan debates with Genevieve Wood. Stephanie Cutter is outraged that Gwyneth Paltrow said she knows what it's like to be in war because of nasty online comments. Newt Gingrich is outraged that D.C. now has a yoga tax to add to the list. Good nutrition or nanny state? 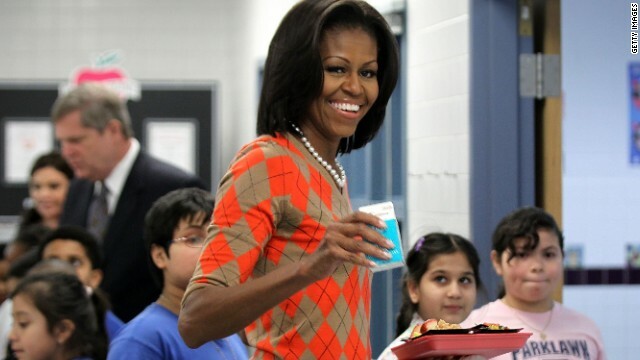 First Lady Michelle Obama argued Tuesday that it's "unacceptable" for House Republicans to consider making major changes to the 2010 child nutrition law – a hallmark of her "Let's Move" campaign against childhood obesity. "The last thing we can afford to do right now is play politics with our kids' health," she said. "Now is not the time to roll back everything that we have worked for. Our kids deserve so much better than that." The first lady made her remarks at the White House before meeting with school leaders and experts on child nutrition. Her comments represented a rare moment for the first lady, who stays far away from public disputes with Congress. Just today, in a move that assures a further showdown with the White House and first lady Michelle Obama over school lunches, a Republican-led House committee voted down a Democratic amendment that would have allowed schools struggling to comply with nutrition standards a one-year delay. At 6:30pm ET, Margo Wootan of Center for Science in the Public Interest and Genevieve Wood of Heritage join Newt Gingrich and Stephanie Cutter for a debate. Should government require healthier school lunches? Vote by tweeting Bigger or Smaller using #Crossfire or comment on our Facebook post. View results below or through our Poptip results page. Crossfire host Newt Gingrich along with Sally Kohn debate if recent changes to nutrition labels are an overreach of government power. Is America turning into a nanny state? Choosing healthier foods at the grocery store may soon be a little easier, thanks to First Lady Michelle Obama. 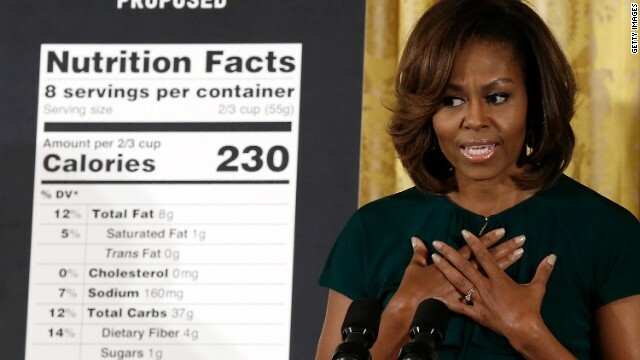 Is the first lady’s initiative going too far, or is it the government's job to help regulate what we eat? At 6:30pm ET on Crossfire: Margo Wootan, a health and nutrition activist, and Rick Berman, who opposes government overreach, join Newt Gingrich and Sally Kohn to debate. We want you to weigh in: Should government have a role in reducing obesity?